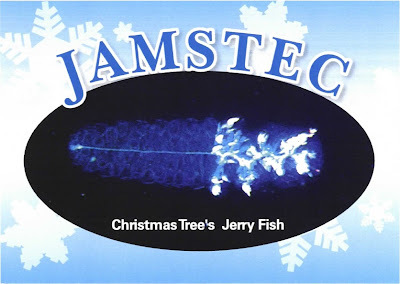 A Christmas Tree's Jerry Fish to all my readers. Here's another bizarre Japanese story that seems to have made more of a splash abroad than in the Japanese press. A walker went missing on a mountain side, and was found 3 weeks later apparently in a state of hibernation. I have seen some bizarre stories of unusually long-term survival in extreme cold (like this famous baby, and the mammalian diving reflex enabling people to stay alive under water for lengthy periods), but this "hibernation" seems rather different. However, this version of the story in the Japanese press is rather less extravagant in tone. In any case, now he's out of hospital and apparently fully recovered, no doubt he'll be putting in plenty of overtime to make up for his lengthy absence! From the department of "you couldn't make it up" (or should that be, "James belatedly jumping on a bandwagon"), here's someone from Verizon unable to cope with decimals (long audio recording). Correction, it's not "someone". It's everyone at the whole company! Having repeatedly quoted and confirmed a rate of .002 cents per kb, they then multiply the kb usage by .002, and insist that this is the answer in dollars. There's a blog about it too, with the full gory details. I've got a bunch of bizarre Japanese stories to blog...curiously most of them have appeared in the UK press rather than Japan. Perhaps it's part of the Christmas silly season, or a newly-posted journalist trying to make him/herself useful. I'm not sure why Paris Syndrome has suddenly hit the news - it's an old story well-known over here (that BBC article even points out it was first described 20 years ago). What happens is that some Japanese have an unrealistically romanticised image of Paris, they go there and someone is unexpectedly rude to them, and they go into shock, have a complete breakdown and need to be repatriated by the embassy. When I went to Paris and entered a restaurant with a sign in Japanese and called to the waitress 'Excuse me,' in Japanese, she didn't turn around even once. It turned out she was Thai. So I don't want there to be so-called Japanese restaurants if they're inconsiderate toward guests and tourists. Around this time of year, people are always asking me if I'm going home for Christmas. No, I reply(*) - and although I have to cook my own turkey, overall I am not sorry about the decision :-) It's bad enough travelling in the UK when the weather is good, let alone at this time of year. Jules still seems quite keen to try sending it somewhere else. I don't think I can be bothered, although I might reconsider in the future. It's out there in the public domain, and I've told a bunch of climate scientists about it, so it will be interesting to see to what extent future climate sensitivity estimates implicitly or explicitly take account of the arguments we have presented both in this manuscript and the previous GRL paper. AFAIK nothing new has been written since the Hegerl et al Nature paper, which was basically contemporaneous with our GRL paper. No doubt breaching all sorts of copyright restrictions, but nevertheless, someone has posted 2006 JLPT 2kyu test & answers here (with a couple of mistakes at least, by my reckoning). Of course, it's too late for me to remember how I answered many of the questions, but I reckon I might just have sneaked a fail, which will be disappointing (not that it actually matters). Have to wait a few months for the official answer still. 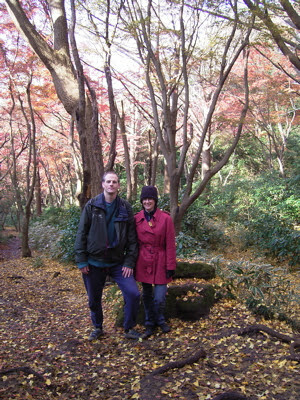 Regular readers will know I live in Kamakura, which is a historic city just outside Yokohama. Probably most Japanese think it's a terribly busy tourist trap - which it is, from 10am to 4pm on weekends and holidays when they all visit :-) For the other 90% of the time, it's a beautiful, quiet, friendly town, packed with temples and gardens mostly dating from the Kamakura era when it was Japan's capital. There's a beach on one side and a ring of forested hills round the edge where we live. 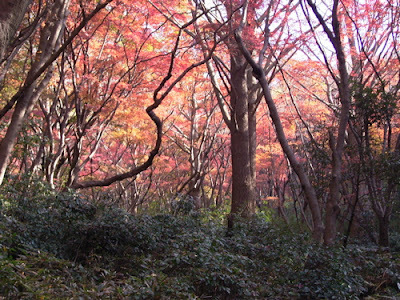 There's a local spot called "kouyou tani" or "autumn leaf valley" near our house. I guess that is a popular rather than official name, but it is obviously well known for its colour and at this time of year there is usually a steady stream of visitors with long lenses and tripods. Wednesday morning was bright and sunny so we decided to take the day off and go for a walk up there. From the top of the hill above our house, there is just a patch of yellow ginkgo to give a hint of the colours below. 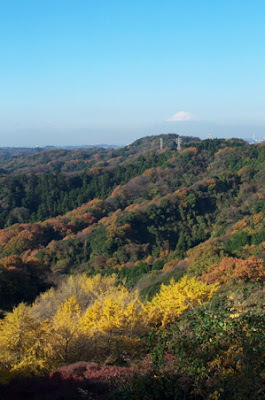 This picture is looking west towards Fuji, so the main centre of Kamakura (with beach and Pacific Ocean beyond) is just off-shot to the left. Below the ginkgo, there's a canopy of Japanese maple, with a wonderful mix of reds, greens and oranges glowing in the morning sun. We were there quite early in the morning, so there weren't many other people around, just one or two ultra-keen photographers. Usually when people offer to take our picture together we politely decline - I know what I look like and don't need to remind myself that I was there! But given that this guy was all set up with tripod and long lens we though we should take advantage of the offer. As we wandered down and out of the valley, the hordes were just starting to arrive in force, and the sky was starting to cloud over...we finished the trip at one of Kamakura's other great attractions - the best Indian restaurant in Japan (whose web-site seems to have vanished for now). Eventually the reviews from GRL arrived for this paper (actually several days ago now, but I've been busy recently). There were 3 reviews in all, which is unusual for a standard GRL paper. 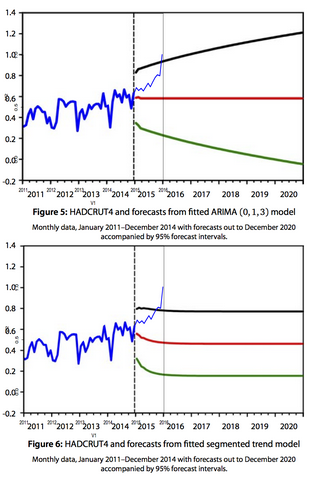 Ref 3 says the paper is "quite correct in its analysis" (he does comment on some technical details), but refrains from giving a recommendation on publication or otherwise, stating his suspicion that the points we have raised may already be accepted by the climate science community, ie the spectre of high S is just a straw man! It is hard to see how anyone who is aware of Stern's Review, and what appears to be in the IPCC draft (and numerous other papers and public comments) could really think that, but still...at least it's a clear endorsement of the principles we have presented. Ref 2 also has a number of technical points, but recommends publication after revision and even treatment as a "GRL highlight". Interestingly, he says we are too harsh in the way we criticise the approach of Frame et al, apparently believing that they did not seriously propose to use the uniform prior U[0,20] for calculating probabilities. That's right - in his opinion, their approach is so obviously wrong that he cannot even believe they could possibly have meant such a thing - for everyone knows that there is no such thing as an "ignorant" prior. Ref 1 is a bit of a disappointment. He doesn't seem to understand it at all, despite our attempt to explain things in such elementary terms. He is still sticking to the untenable belief that a uniform prior is "ignorant", and indeed maintains that the whole number line would be the most "uninformed" choice, even in the face of our elementary observation that a uniform prior with a wide range assigns virtual certainty to extraordinarily high sensitivity (including negative values if the prior is not truncated at 0). What makes it worse is that he's clearly an active researcher in the field. Even so, after clearly not understanding it and recommending rejection as not suitable for GRL he then strongly recommends we consider sending it to Science or Climatic Change as some sort of opinion piece! (a) If you don't use the probability axioms, as Allen and Frame have explicitly and repeatedly proposed, then what you are doing is simply not "probability" as the term is generally understood. This is not a matter of opinion, but a matter of definitions (at least until and unless someone proposes a new version of "probability", with some plausible basis). (b) "The uniform prior" does not represent "ignorance" under any reasonable definition of ignorance I can think of - and no, circularly defining "ignorance" to be "the state of knowledge represented by a uniform distribution" is not reasonable! I won't reveal any details of the test as it still hasn't started in some parts of the world. The day started rather inauspiciously with someone deciding that now was a good time to jump in front of a train. I guess if you are going to bring the network to a halt, early Sunday morning is one of the less disruptive times to do it, but there were still plenty of us up and about at that time. Fortunately I had given myself plenty of time, so after a brief panic I got a bus to Ofuna and still arrived at the exam site with plenty of time. It was interesting to note that (a) there were probably something like 1000 people, just for the 2 kyuu exam in the Yokohama region and (b) many (most? 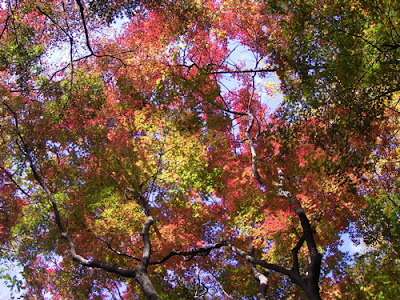 all that I heard speaking in Japanese, which was quite a few) of them were really pretty fluent in Japanese. I suspect I would have been in the bottom 1st percentile for that, but it's not a spoken test! I think the first couple of papers went about as expected. I was pleased to overhear a couple of people talking about the aural exam just after it finished, confirming that a couple of my "probably right" answers were in fact correct. I came a bit unstuck in the middle of the third paper - reading comprehension and grammar, which is always a bit of a desperate race against time - but finished with an easy reading section (3 questions, 15 points) which means it can't have been that bad overall. The exam didn't seem particularly hard compared to the practice tests (and last year's exam) which means I should have passed by a modest margin. [For reference, that means that this book of practice tests which I had struggled with is clearly way too hard, and this one is much more realistic (although in contrast to the first book it doesn't explain the answers, and it also has a few misprints).] But I will have to wait and see. Since the answers are marked on a multi-choice machine-readable card, this will only take.....more than 2 months. Yes, there is no typo there. It's like getting reviews out of GRL :-) Probably they have to arrange a line of OL's bowing and making cups of tea while a Shinto priest waves hs magic wand at each answer sheet. And then arrange an meaningless interview for each exam sheet that passes the 60% threshold, which no one can give any plausible explanation for (sorry, in-joke there). Pass or fail, I don't plan to take 1 kyuu next year. I guess I could probably just about make it if I really tried, but slogging though another 1000 kanji (and the rest) would test my patience. Rather, I would prefer to aim for "has the ability to converse, read, and write about matters of a general nature" which nominally describes a 2 kyuu candidate. Yeah, right. A language exam that doesn't actually test either speaking or writing ability is a strange (and rather badly designed) beast indeed. Still, studying for it has certainly enhanced my ability to read and comprehend Japanese.